The Dunlap Institute is leading the development of an infrared spectrograph for the Gemini Observatory called the Gemini Infrared Multi-Object Spectrograph, or GIRMOS. GIRMOS is designed to produce high angular-resolution and highly sensitive infrared images of the sky. It will image four objects simultaneously within a two arc-minute field of view—a capability known as multiplexing. The spectrograph will target high-redshift (1 < z < 10) galaxies to help in the study of their formation and evolution, back to a time in the early universe when galaxies were first forming. It will also help in the investigation of galaxy mergers in dense environments. It will enable near-field cosmology through the study of metal-poor stars in the Milky Way Galaxy’s central bulge. It will also help astronomers study star formation physics in the Milky Way. GIRMOS will serve as a precursor to the IRMOS spectrograph, a high-priority instrument for the Thirty-Meter Telescope now under construction in Hawai’i. It will serve as an important follow-up instrument for the James Webb Space Telescope (JWST) when it is launched in 2018. 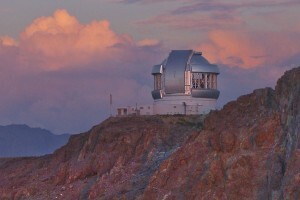 GIRMOS is designed for use on the 8-metre telescopes of the Gemini Observatory, the largest telescopes available to Canadian astronomers. The project is being led by the Dunlap’s Prof. Suresh Sivanandam, and is being funded through a Canadian Foundation for Innovation (CFI) award of $5 million, with $7.8 million from provincial and other partners. The funding was announced in October 2017. For details, visit Prof. Sivanandam’s personal research page.